The next gold rally is imminent according to some analysts. The last big gold rally of 70% ran from December 2008 to June 2011 when the Federal Reserve introduced 2.3 trillion dollars worth of quantative easing (euphemism for printing more money) in two rounds. With the imminent never ending quantative easing now beginning it is very likely we will see a comparable rally in the gold price coming up over the ensuing months. At least that is what George Soros and John Paulson appear to think with their continuing purchases of gold. Between them Solos and Paulson own more gold than many countries and both have proven to be no slouch when it comes to investing their assets for profit. So what do they known that we don’t? According to the World Gold Council, the SPDR Gold Trust (GLD) holds 1,342.2 tons. Soros has increased his investment in the trust to mind boggling 1.32 million shares in the third quarter of this year, the most since his purchase in 2010, according to a Nov. 14 SEC filing. And Paulson is the proud owner of an enormous 21.8 million shares in the SPDR Gold Trust. This makes him the biggest shareholder. He has recently raised his stake by a massive 26 percent in the second quarter of this year which means that his holding of 66 tons of gold is bigger than many countries gold reserves including Brazil, Bulgaria and Bolivia. Now these guys are not buying up gold because they think the price is going to drop. Or because they are idling away time, or as a hobby to play with. This is serious money and these guys play for keeps. Google George Soros and John Paulson and you will see their history and how they continue to make money hand over fist. This, coupled with the central banks buying gold as fast as they can, China still buying gold heavily and Indians, ignoring their banks pleas to stop buying gold, means that those that can are continuing to buy gold regardless and that means that the gold price is expected to rally very soon. 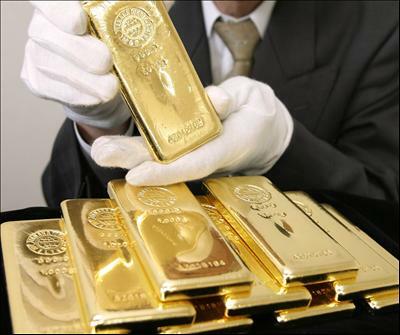 As the world financial and economic climate deteriorates and frantic efforts to bolster it by printing more money and imposing more austerity measures continue, it is evident the wisest know a gold rally is imminent and are taking appropriate steps to buy gold. Perhaps that is what we should all be doing also.